This production will be one to remember as it will once again showcase the immense musical talent which Coláiste Chiárain has to offer. We are thrilled to welcome back Des Henn (Director) Noel Lennon (Musical Director) and Barbara Meany (Choreographer) to the production team along with an incredible cast and crew, all of which make for an unmissable performance of Hairspray The Musical. 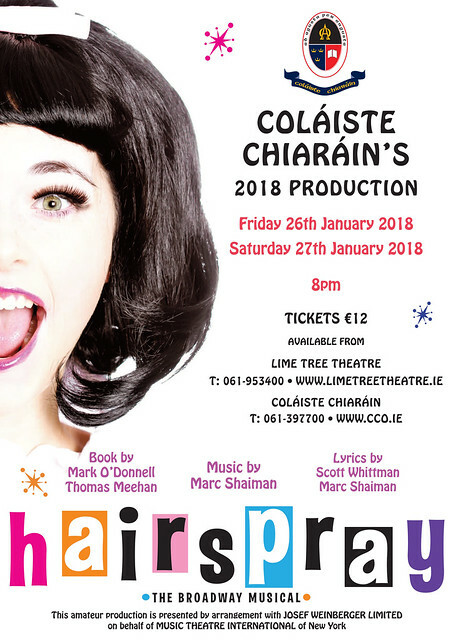 The producer, Mr. Fergal Moore along with choral director, Ms. Mary-Kate Hanley are determined to provide an amazing show for the public and this will undoubtedly be achieved. Congratulations to Shaena Cohen Form 4. 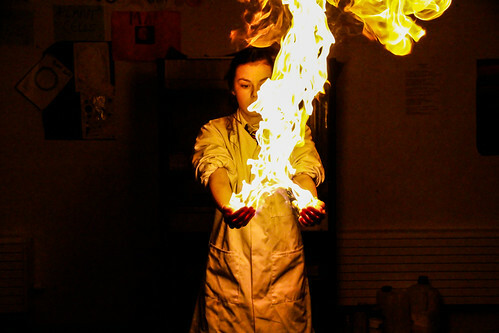 Her image titled 'The Fire Within Her' has been chosen as the winner in the People in Science category in WiKi Science Ireland 2017 photography competition. 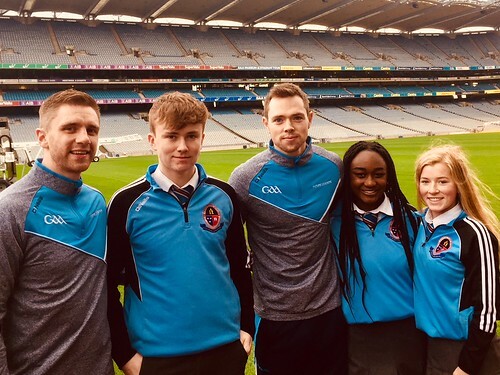 A group of our TY's attended the national launch of the GAA Future Leaders initiative in Croke Park yesterday. Inter-county GAA stars, Dean Rock, Aidan Harte, Ava Lynskey and Ciara Trant along with incoming GAA president John Horan officially launched this exciting new initiative. Our students, Dylan Sutton, Debra-Kylie Ezikeme and Leah Donnelly, were fantastic ambassadors for the school and enjoyed an action packed day including a tour of the stadium and 'The Skyline Tour'. 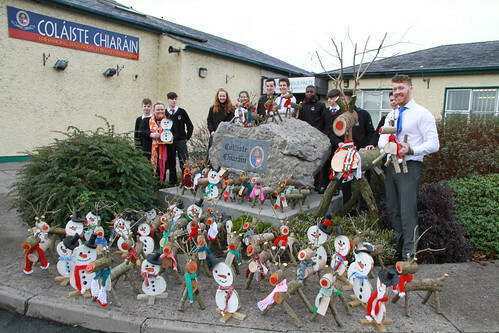 Check out pictures of the snowmen and reindeer created as part of a charity fundraiser in Coláiste Chiaráin in recent weeks. 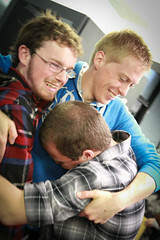 Check out Part 3 of this years Reindeer Workshop series. Making Rudolf.. Well done to Mr. McGarry and his team of workers on this excellent fundraising initiative. 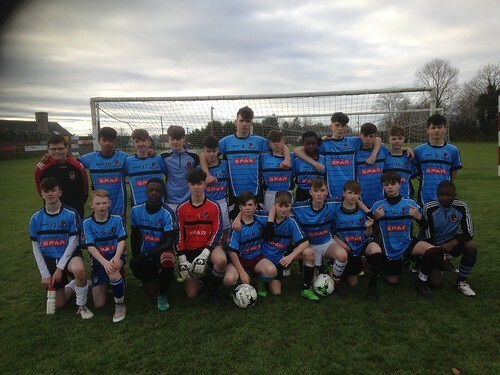 ​Congratulations to our U15 soccer team who recorded a victory over Shannon Comprehensive yesterday. Well done to their coach Mr. Gaffney and to all involved.